Book this tour all year round ! Book this afternoon tour in the beginning of your stay. 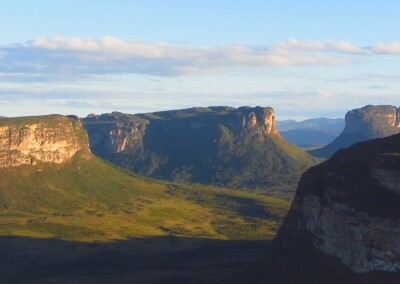 This tour is very good to get to know the Chapada Diamantina. An afternoon full of discoveries and experiences. Fascinating views on top of the famous Pai Inacio table mountain and a gorgeous swim under a big waterfall. 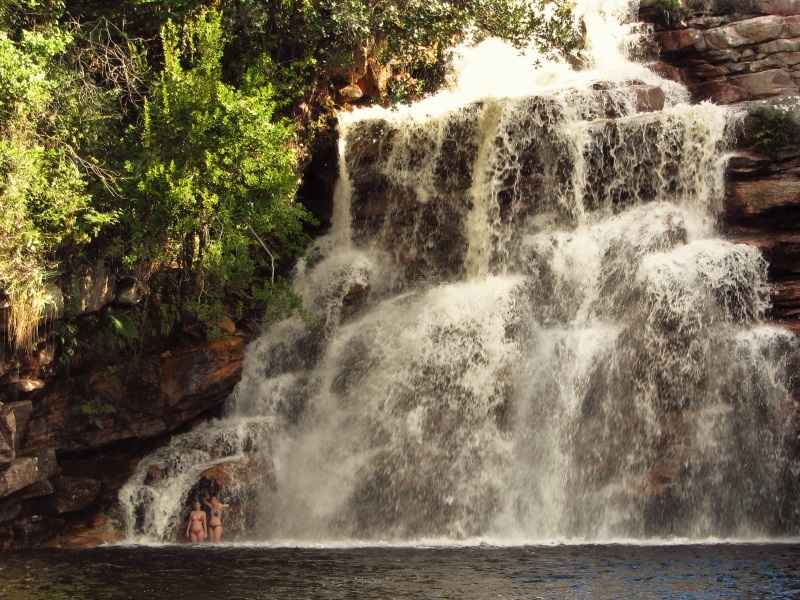 Before getting to the waterfall you will see another beautiful swimming spot. If you are not scared of a short but difficult descent, then you can discover another gorgeous waterfall downstream. Read our recommendation before booking ! We will meet at the agency / Banco do Brasil at 13:00. Tip: There is a very good buffet restaurant on the main square called Bode grill. 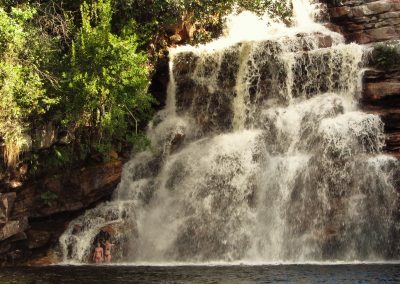 After a 20 minute drive we have to walk the “Mucugezinho” river downstream to arrive at the “Poço do Diabo” or “Devils pool”. We have enough time to swim in this big natural swimming pool. If you are not scared of a short but difficult descent, then you can discover another gorgeous waterfall downstream. We walk back to the car and continue our drive into the center of the mountains. 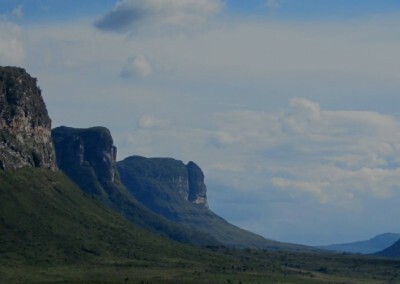 We do a quick stop to admire the beautiful valley of the “three brother” mountains or “tres irmãos” . After a short and steep climb of 20 minutes we arrive on top of this great table mountain. You are going to discover two incredible views. Get yourself a good spot to watch the sunset ! When we head back to Lençóis it will be totally dark already. 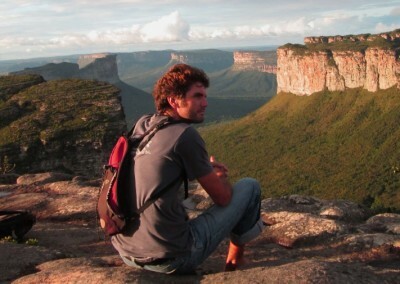 Because of the easy access, there will be always other tourists on the Pai Inacio mountain.